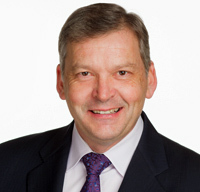 Dr Wallace joined Solvanix at its incorporation as the Head of Product- and Business- Development. He works closely with the inventor of the StAbilze™ technology, CSO and Founder Dr Daniel Christ on the Company’s product development and business development. Prior to joining Solvanix, Phil was a consultant for 15 years in the field of antibody technology licensing and antibody manufacturing. During this time he out-licensed technology for antibody generation, effector function improvement and bi-specific antibodies. He has played a leadership role in the development of more than a dozen antibody-based therapeutics entering "first in man” studies that include antibodies, ADCs, bispecifics and antibodies with enhanced effector functions. He has extensively advised many leading biotechnology companies including MorphoSys AG, Seattle Genetics, Biowa/Kyowa-Hakko and Abgenix/Amgen. Dr Wallace was a founder of Xcyte Therapies and worked at Bristol Myers Squibb Research Institute in Seattle doing translational research of protein therapeutics, including antibodies, cytokines and soluble receptors. Phil entered the antibody field as a Postdoctoral Fellow at the Imperial Cancer Research Fund in London after receiving a D.Phil. in Organic Chemistry. He also has an MBA from the University of Washington.